welcome you to our website. Graham has been a primary school teacher for more than 40 years, working in schools in country South Australia. He was well known by his students and is remembered fondly as a music teacher. He retired in 2014. We raised our two children at Arno Bay on Eyre Peninsula in South Australia where we lived for 21 years. During that time Graham taught at Cleve Area School. Jo is a retired Regional Newspaper Manager and Regional Television Office Manager. 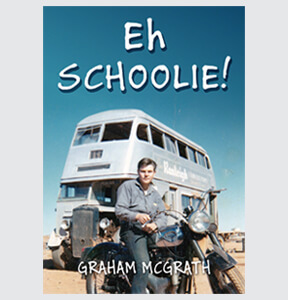 In 2015, Graham wrote and published a biography, ‘Eh Schoolie’ about his life experiences as a young teacher, teaching in rural schools in the bush and outback. This book is in its second print. After the success of this book, he was encouraged to write a second book, ‘Stories Out Of School’ about his years as a teacher in the classroom. Graham McGrath has written a book, Eh Schoolie about his life in the late 1960,s, as a teacher on stations in outback South Australia. He writes of his encounter with an aboriginal stockman, who became an inspiration in his life. A bond that was never forgotten. A fantastic read that will make you laugh, cry and want more. Shades of Colour. Thankyou from that aboriginal man’s partner. My sister, Bronwyn, gave me your book for Christmas. What a hoot. Thanks for writing such an entertaining yarn. Only problem is. It is too short. I am looking forward to the next book! Ross McCallumKalka, Via Streaky Bay. I grew up hearing snippets of my Dad’s early life as a teacher working in the remote outback on sheep stations, and even travelled to Muloorina Station as a teenager. But it wasn’t until I read his first book “Eh Schoolie!” that his journey from city-boy to outback teacher came to life on the pages. I knew the character but not the whole story – so I was laughing and page-turning as though I was hearing it for the first time … thinking all the time “this is really a great read!” Friends who bought the book (not really knowing my Dad’s story) say the same thing! Knowing what a larrikin he is, I’m definitely looking forward to his second book. I know that Dad’s tendency to mix music, fun and practical jokes over the years will be engaging, funny and revealing to readers – and a laugh-out-loud book. Just dropping you a line to say I loved the book. Did not realise how big a deal it was for you Dad, to shift away from Adelaide but loved that you embraced it so much with the new challenges. Wow, sounds like you had such a good social life in Coober Pedy and the challenges you had socially were epic! Best thing I love about the book is your detailed descriptions of everything. Words are beautifully written. Loved it! Some stories, I’d heard and some I hadn’t. Loved the photos. I have worked with Mac for many years. We formed a trusting relationship where we could talk about family, life and work issues and laugh about situations. I trusted him and found him easy to work with. When he told me he had written a book, Eh Schoolie, I had to have a copy. I found it hard to put down and read it over a few nights. It was a laugh and knowing Mac, I could envisage these things happening to him. 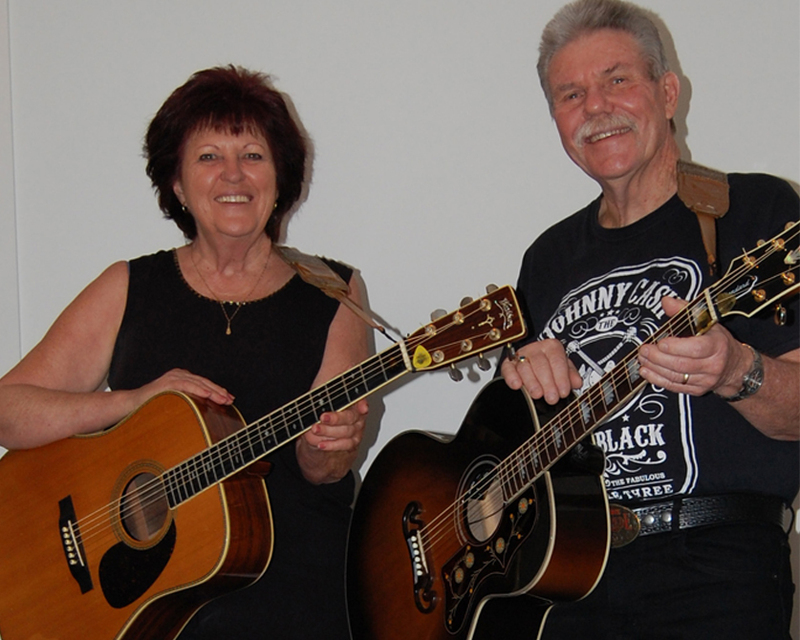 I am also a country music lover and found the CD’s Country Heart Awakening & Shades of Colour that Mac and Jo put together were easy listening and very enjoyable, it made me want to get up and dance. Best wishes to Jo and Mac. Lyn PageWork colleague, Carlton R-9 School. Mac’s ability to tell a GOOD story is beyond entertaining. Eh Schoolie will make you laugh and make you cry…. Sometimes both at the same time! Such a treat to hear more of Mac’s adventures. Alice ArchibaldTeacher / Work Colleague, Carlton R-9 School. Eh Schoolie! is an honest and capturing biographical account of a young man’s early experiences with outback station living and country life in the late 1960’s to the early 1970’s. Graham McGrath tells his story of how he embarked on a challenging career, teaching in one teacher rural schools at Mabel Creek Station, Butler Tanks and Muloorina Station in South Australia, at the age of 20. This warm and frank account of those early years, detached from the comforts of suburban living he had been accustomed to, emerging from under his parent’s wings, reveals a compelling story of emotions and confrontational experiences. His journey would be a learning curve of awkward romantic moments and growing up in general. Threaded with humour, the story unfolds and comes to life as Graham encounters and tackles head on, colourful and seasoned characters of the bush. He embraces the unexpected, both painful and rewarding, which undoubtedly was to shape his future and pathways in life. This book is available to purchase individually, or as a package deal with either our second book Stories Out Of School or with our CDs. Stories Out Of School takes you on a journey with Graham McGrath, through his own school days and primary teaching career spanning some 60 years. He tells his story in a humorous and sometimes serious way. Graham built his life around a refreshing, light hearted, open and sometimes crazy approach to mixing with people and kids that he loved to teach and tease in a fun and respectful way. School life back in the seventies and eighties had more open boundaries than today. He always wanted his students to have fun in the classroom. It opened up opportunities sometimes for pranks and situations that may not be deemed appropriate in today’s world. 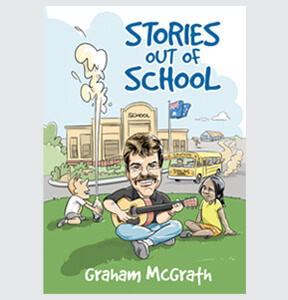 Following the success of his first book, Eh Schoolie!, this delightful read extends the journey to a final destination in a warts and all revelation of Graham’s life as a teacher. This book is available to purchase individually, or as a package deal with our first book Eh Schoolie! or with our CD’s. 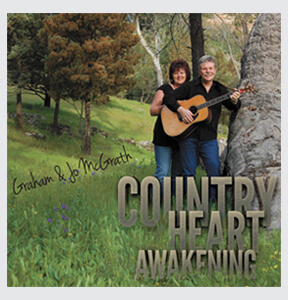 Country Heart Awakening is our first album that we recorded. 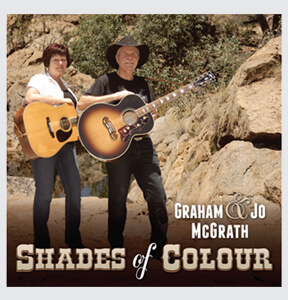 All songs are original and written by Graham McGrath. This album has a country music flavour. Some songs have been inspired by people we have met and places we have been over the years, socially and through our band, Sunshine while others are from life experiences. This CD is available to purchase individually, or as a package deal. Shades of Colour is our second album that we released in 2015. This album is inspired by the many people and events during Graham’s life and teaching career. The title song, Shades of Colour was emotionally inspired by a conversation he had with one of his indigenous students. Ballad of Banjo is a song about an Aboriginal man, Banjo (Ben Walkington) who, with his encouragement led to Graham’s life long passion for singing and playing music. He writes extensively about Banjo in his book, Eh Schoolie. Graham has been a primary school teacher for more than 40 years, working in schools in country South Australia.